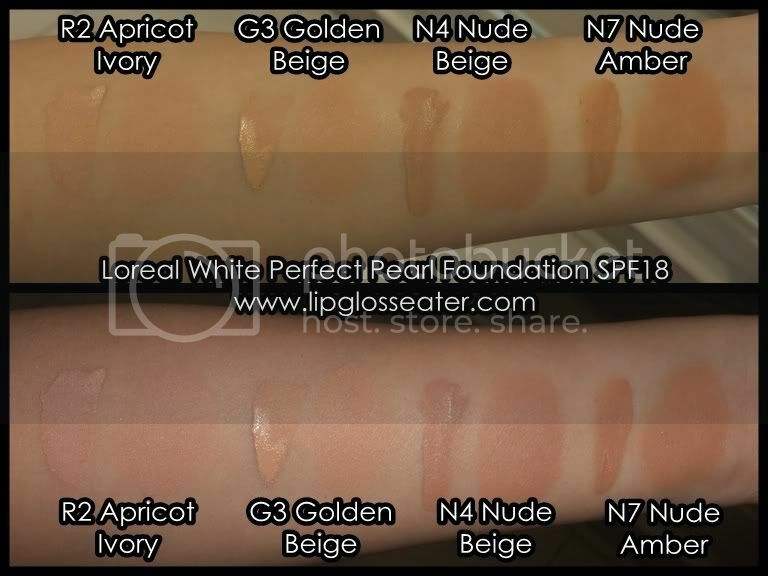 [Lipglosseater]: Loreal White Perfect Pearl Liquid Foundation Swatches! Loreal White Perfect Pearl Liquid Foundation Swatches! hm, I thought Ivory works well on you too but a lil pinkish for this foundation. Have you tried Revlon's LF? Hmm, I have seen L'oreal foundations down here, similar packaging as this one you reviewed but I doubt it has "White Perfect" written on it...I am interested with this!!!! Foundation really makes me interested as doing makeup for other people requires different kinds and types of foundation! My mom was using the Golden Beige I think, but the older formula.